What's The Purpose Of Your Presentation? 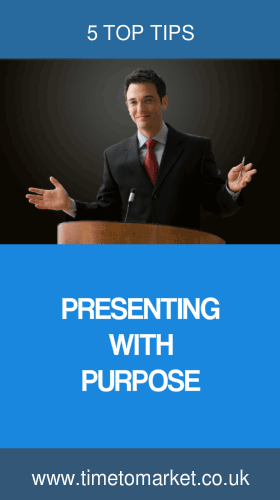 Are you presenting with purpose? It might come as a surprise to you. But your presentation audience is looking out for themselves. You need to know what’s the purpose of your presentation. Yes, they’re a delightful bunch, your audience members. They were very talkative during the coffee break and very attentive during the last presentation. However, they are are still selfish. When it comes to them rating your presentation they are focused on themselves. But what’s more important to your audience is that they get something from your presentation. So, when you only focus on style and imagery, PowerPoint slides or visuals you neglect your audience’s focus. Your focus is wrongly on sending. That is, sending something that you want to send. However, your audience wants something. They want to receive something. And that something is something of value from your presentation. Just consider the purpose for the MH17 team presentation. Prosecution of the guilty parties. So, they really went for it. So your focus has to be on their need to receive something. Not your need to send something. Because you need to be presenting with purpose. Build yourself a presentation that meets a tangible purpose. A purpose that has your audience remembering something at its end. A purpose that involves your audience understanding, believing or doing something as a result of your presentation. Specific. Test that the objectives for your presentation are precise. If they are too general your presentation will suffer. Measurable. How will you know that you’ve achieved the purpose of your presentation? If you can measure it, then you’ll know. Achievable. Make sure that the purpose of your presentation is achievable with your audience. If it’s not, there’s a danger that your presentation won’t have any impact with them. Relevant. Keeping your presentation relevant to your audience is critical. Aim to check the relevance of your presentation with others before you present. Time. Can you achieve your purpose in the time available? That’s because a ten minute presentation might be too short for a wide-ranging understanding of a new product or technology. But it might be sufficient time to present a new procedure to an experienced audience. A well-written, single sentence purpose for your presentation that hits these objectives can now become the foundation for your entire presentation. So, that’s presenting with purpose. You can discover more reasons why to give a speech with Time to Market. Or, you can always find more presentation skills tips and techniques with a presentation skills coaching session with your very own coach.